The Red Bulls will honor striker Bradley Wright-Phillips on Sunday night after the Red Bulls' match against Los Angeles Football Club, which begins at 6 p.m.
Wright-Phillips' MLS record of fastest to 100 league goals will be recognized with a post-game ceremony. 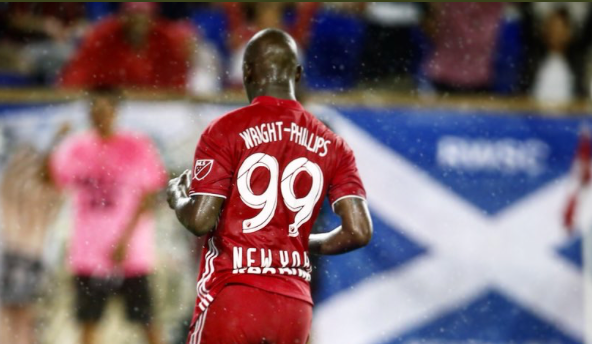 Following the conclusion of the match and the players lap around the field, there will be a special presentation to Wright-Phillips, including highlights of his best goals and video messages from past coaches, teammates and others. The ceremony will be capped off with a special message from the club. Fans will also receive a commemorative poster, celebrating Wright-Phillips' record as they leave the arena, along with Audi Yowies they receive upon entering Red Bull Arena prior to the match. The post-game ceremony will take place on the field. Fans are encouraged to stay after the match to join in the recognition, which will begin shortly after 8 p.m. Thanks for sharing the post.And I hope that other readers will also experience how they feel after reading your article. I decided to add your blog to my bookmarks so I can return to it at a later date. I'm full of the joys of spring when see your new posts.Your posts can help me more and more in the future. Once again thank you.